Add the sounds of the urban world to MorphVOX Pro Voice Changer. Now you can disguise your location just for fun. Sound like you are at the airport or in a cafe or at the amusement park. 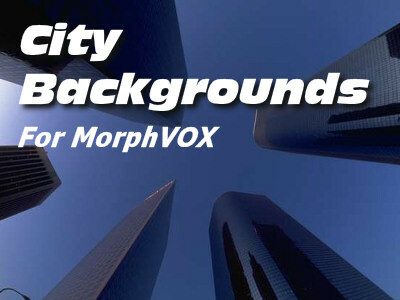 Note: City Backgrounds requires MorphVOX Pro Voice Changer Version 3.0 or higher run. Click on the images below to hear the samples of each backgrounds in this pack. The City Backgrounds sounds have been digitally dove-tailed for optimal playback quality. This pack easily integrates with MorphVOX Pro Voice Changing Software.